Peggy died peacefully yesterday afternoon, 2-24-12. There will be a Celebration of Peggy's Life on Saturday March 3rd 2-4pm at the Cossolias home, 395 Ashland Loop Rd., Ashland. Claire Anchick loved the river. As the mighty Rogue runs through the heart of the Rogue Valley, so too has the life of Claire Anchick swept softly through the hearts of all who knew her. The tributary of her life began in Denver, Colo., 66 years ago. She grew up in a melded family surrounded by loving parents as they lived in places like Kingsville, Texas, Winsfield, Kans., and Albany, Calif., where they were living when she graduated from high school. Growing up, Claire attended 13 different schools. At age 19, she spent a year traveling the world before she met and married Jack and started a family. Their 46 years together we exemplified in the word, together. A union such as theirs is an inspiration and great example of what love truly is. Claire was so proud of her sons, John and Troy and for their service to this country in the Navy. Her daughter-in-law, Tami Rupp-Anchick, filled her heart with joy. Her eyes lit up when she talked of her two grandchildren, Connor and Logan. They were the delight of her life. While living in Ashland she opened up a storefront, Hot Dog Restaurant, that also served sushi and a variety of sandwiches. The entire family worked at the business. She loved Ashland, but the call of the river was too great and they moved to their home on the banks of the Rogue River, near Gold Hill. She needed to be near the water. Claire and Jack owned and operated Town and Country Cleaners, which is known for excellent customer service and the catchy tagline, Got Your Purple Bag? 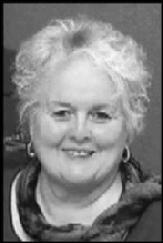 She was an active member in the Ashland, Talent, Phoenix, Medford and Upper Rogue Chambers of Commerce. She was also tirelessly involved in the local Soroptimist International of Medford, using her special expertise and management skills to advance the status of women and make the world a better place. Claire had a heart for the business community and believed that everybody in one way or another needed to give back to their community. It is that legacy of service and community involvement that will live on in the lives of all she influenced. A celebration of Claire's life will be at the First United Methodist Church, 175 N. Main St., Ashland, at 2:00 p.m., on June 26, 2010. It is Claire's wish that any memorial gifts be made to The Camelot Theater Company, P.O. Box 780, Talent, OR. Yes, Claire Anchick loved the river. Vicki Smith, beloved wife, mother, daughter, sister, friend, and community member, passed into God's loving arms on March 16, 2010. Vicki was born one of seven children to Juanita and Gerald Shults in 1944. She graduated from Klamath Union High School in 1962 and married Dan Smith of Keno, Ore., in 1965. The couple moved to Ashland in 1966. Vicki worked at Southern Oregon College forensic lab and then at the Ashland School District before starting a 30 year career at Rogue Federal Credit Union. She worked as the Rogue Federal Credit Union Ashland branch manager for many years and as the credit union grew, she was continually promoted to take on greater responsibilities including serving on the senior management team. Vicki served many years as the chief operations officer and finished her career as the chief member relations officer, where she was responsible for operations, supervising branch and department managers, and service delivery. One of Vicki's biggest accomplishments and greatest honors was serving as the chair of the operations sales and services executive committee for the Credit Union National Association. This allowed Vicki to travel all over the United States sharing her operational expertise with other credit union professionals. 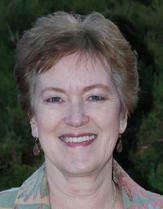 She also enjoyed serving on the Credit Union Association of Oregon Foundation Scholarship committee for many years. After retiring in 2007, Vicki pursued travel, learned to knit, learned to play the piano, golfed, enjoyed a hiking class and time with her family. She was also a dedicated Soroptomist member for nearly 30 years. For much of her working career and in retirement, she volunteered countless hours to Soroptomist International of Ashland, serving as club president twice, regional committee chair for the finance committee and district two representative for the finance committee. Vicki had two daughters, Jennifer and Emilie, whom she adored. Vicki raised her daughters with love and strength until the very end. To her daughters, Vicki will always be known as the rock. Vicki passed away Tuesday morning, after a very brief battle with cancer. She is survived by her husband, Dan Smith; daughters, Jennifer and Emilie; father, Gerald Shults; brothers, Jim and Jeanne Shults, of Fairfield, Calif. and Mike and Teresa Shults, of Klamath Falls, Ore.; sisters, Sandy and Bill Dixon, of Klamath Falls, Debi and Bob Luther, of Rocky Point, Ore., and Geri Lynn Shults, of Klamath Falls, Ore. Vicki was preceded in death by her mother, Juanita; brother, Donald; and niece, Chris Wright. Vicki will be remembered on Saturday, March 20, at 1:00 p.m. The memorial service will be held at the First Baptist Church in Ashland and will be immediately followed by a reception at the church. In lieu of flowers, please make donations in Vicki's name to: Soroptimist International of Ashland, P. O. Box 544, Ashland 97520.